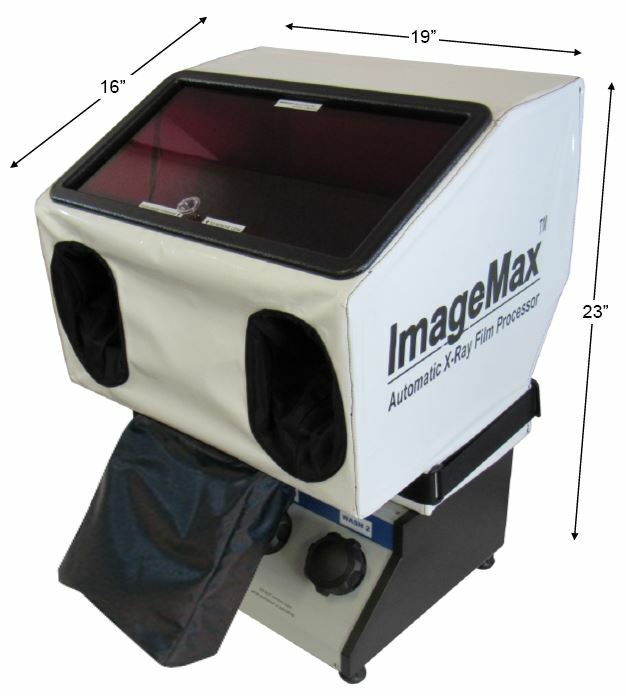 The ImageMax Daylight Loader is constructed with high quality heavy duty fabric over a light-weight frame that fits over the top portion of the ImageMax Processor. The loader adds about 2″ to the ImageMax overall height. To load film, temporarily remove the red view lens. Insert your film through the opening. Replace the red lens. Then, push your hands through the arm sleeves to load your film into the ImageMax. 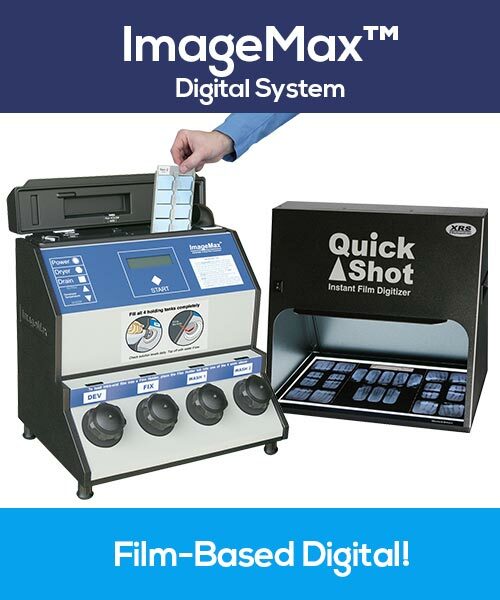 There is plenty of room inside the loader to easily load film into the processor or reload a pan or ceph cassette. There’s a pouch below your hands to store pan and/or ceph film. The loader also includes 2 trays for intra-oral film foil and paper/vinyl. 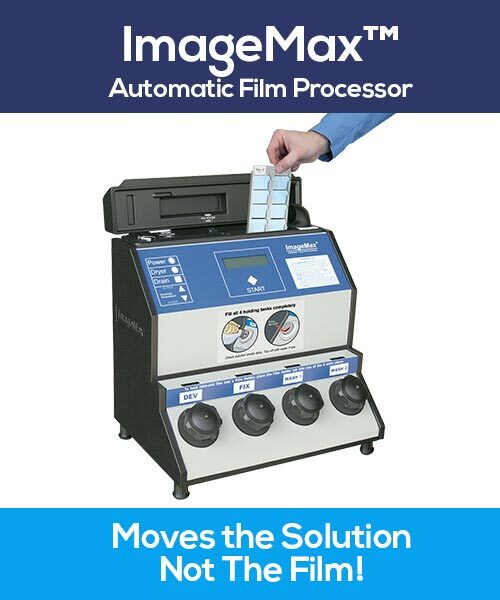 Dimensions: When installed onto the ImageMax Film Processor, the Daylight Loader is 23″ high at the back sloping to 19″ at the front. It is 19″ wide and 15″ deep. 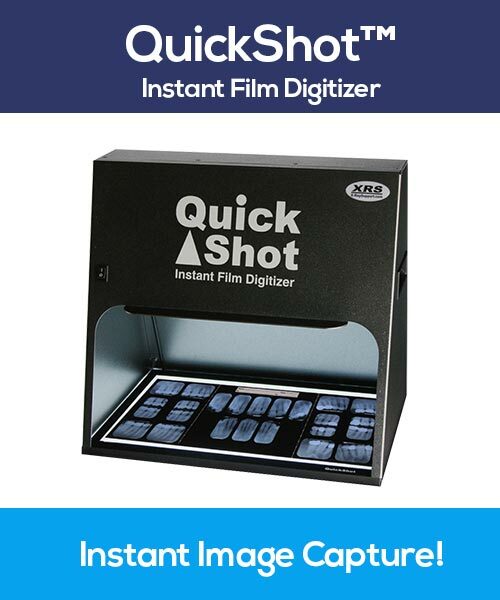 Your hands enter at 15″ above the counter – about the same level that you would work with the ImageMax if you were not using a daylight loader. 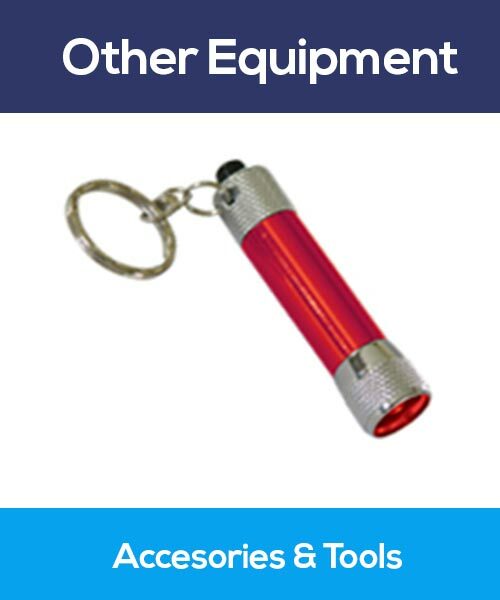 We recommend that your cart or counter height be 28 to 32 inches from the floor.